The Full Moon eclipse on Saturday night was a spectacular sight! The energetic implications of an Eclipse are great and its effects felt for quite sometime. This one was big; energies were strong. Transformational energy abounds – how can you benefit? (Aries) How are you moving with manifesting those visions? Time is now for taking them before the people. Lots of emotions may have arisen as you move forward – don’t be put off by the shadows of your ‘demons’. Instead listen to your emotions, what are they saying – they’re reminding you of what you’re feeling. They hold the key to where you’re standing. (Taurus) Lots of learning on the table, there’s more knowledge needed to complete your journey. Other people, other lands broaden your horizons; your vision is expanding. Expansion and growth, new understanding open your eyes to new things around you. Your base is shifting; comfort may be disturbed, these changes necessary to fulfil your journey. (Gemini) Deep, deep rumblings within your psyche, something is nagging to come to the surface. Emotions stirring on such a deep level, what is obstructing your emergence? Have you been hiding behind your ‘enemy’, or is it an excuse to avoid the limelight? You can’t hide forever, blaming others; it’s you who choose it. Your very self emerging from the ashes. (Cancer) Well relationships have been in the spotlight for you, significant others, may have been stormy. Times like these start pressing buttons ‘cause much within needs transforming. When stuff starts churning deep within, our significant others reflect it back. I know it’s a bugger, that’s how it goes! You need to focus on you, your needs are first and foremost. (Leo) Has your body been making its presence felt? What changes are required to keep it in health? Emotions are the messengers, if they’re not headed, then the body starts, and that’s more difficult. Don’t ignore the signals you’re getting, otherwise your routines will be disrupted and then the long journey back to wellness. Listen to what you’re hearing. (Virgo) Matters of the heart, creative expressions, children suffering – all grab your attention. Your heart pulled in many directions, people are hurting, Earth is crying. Then your tears you keep well hidden, looking for love, in all the wrong places. Joy in the heart will be found, within yourself, your own pain needs addressing. Your healing hands benefit many. (Libra) So much happening for you – your very base needs restructuring. Take care of your back, it supports you, what in your life can you depend on? All needs to be solid, on which you stand, and build your life – don’t do it on sand. Your feelings will run deep, your family and home, needed to support you in this massive growth spurt – God’s love is with you. (Scorpio) Emphasis on communication; also your neighbours, how you relate has your focus. Your neighbourhood, your daily life, all is changing, death and rebirth. Your mind can penetrate, that we know, but presently it’s even more. Use your awareness of yourself and others, to purify and release all that is dying; your heightened awareness to communicate goodness. (Sagittarius) Expansive visions need to be aligned with your own true values, to keep them on track. What you value is up for review – you can only build on strong foundations. If you follow your heart your path will be clear – much you can bring back, from your journeys. But utmost honesty now required for what is important to you needs to be acknowledged. 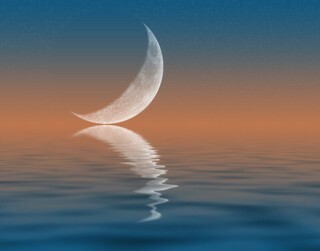 (Capricorn) With the Full Moon Eclipse in your backyard, not much escaping its momentous effects. Your very self being transformed, no more time to carry dead weight. Time to off load the dead and dying, new birth awaits, new shoots will spring forward. No need to fear, love always surrounds you – sometimes huge changes are needed to walk forward. (Aquarius) Lots happening behind the scenes – what are you really feeling? We are all connected; emotional intensity of all the people, is very present. Difficult to disassociate the feelings from your own, all seem swirling in the same pool. Cries can be heard, wounds are bleeding, what happens to one, is felt by all. Your focus on humanity is a gift – we are grateful. (Pisces) Hopes and wishes up for review – what is sustainable with a global perspective. Use your feelings to connect with the vision, what will benefit all of humanity. Your knowledge of wholeness, your ability to ‘see’ what is unseen can be used to direct you. Your ability to express the beauty of life, our ears need to hear those beautiful melodies. True faith you have. 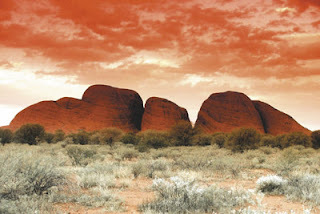 Winter Solstice - tonight 9.30PM - East Coast Australia time. Aries is the beginning of the Zodiac - his energy relates strongly to new starts, fresh enthusiasm and courageous beginnings. . . . . where in your life does this, most particularly, apply? Aries is ruled by Mars, planet of energetic action. . . .he's also known to have a war-like nature, if he becomes frustrated. Jupiter is the bountiful benefactor - the largest planet in our Solar System - he is known for his generous and adventurous spirit! Jupiter magnifies what it touches - he grants wishes and inspires us to take on those new journeys. 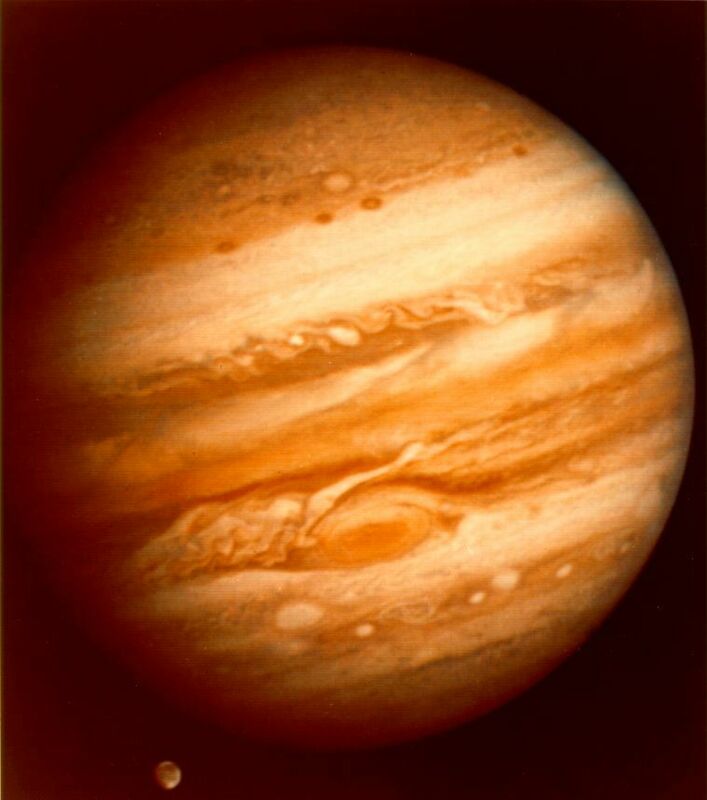 Jupiter or Jove was king of the Gods - the God of Sky and Thunder, like Zeus in Greek Mythology. As the patron deity of Ancient Rome, he ruled over laws and social order. Jupiter has a cycle of 11.87 years - so every 12 yrs (approx) he returns to the same place - what was happening in your life, this time 12yrs ago? It may give you some clues. What have you learnt in this last 12yr cycle that you can take with you into the new one beginning? Let's take a look at what might possibly present itself as you begin a brand new chapter. It's all about you! You, you, you! Well. . . .maybe you're kinda gifted with that anyway - but this is all about a brand new you!!! Not the same old, same old - true courage is needed now, to let go of the old and step forward with the uniqueness of you. Courage you have in bulk, but it now needs to be used in a different way. The courage to be who you really are - like you've never been before. It's a new life for you now, as you step out the door! Brimming full with electrical energy, visions of the future and feeling 'lucky' - what are you waiting for? Huge energies available to you personally, to expand your personal vibration! As you tend to ignore those 'deeper' rumblings and your attention needs to be got - you'll find yourself tripping over things and wondering what's going on. Your focus, doesn't easily go deep down, too much on the outside to build. But the swell of magnifying energy is occurring in the deepest recesses of your being. It's the part connected to the collective, everything that exists - now this may get a little too much, it could disturb your comfort. But pay attention to what you feel, what passes by your awareness, 'cause you can't have all the goodies if, at the same time others are suffering - didn't you know, we are all connected! Lucky energy available to you, to pursue your wishes - the genie just might be near to grant your dearest longings. But they need to be for the good of all - that's the way it goes. Your wishes need to benefit the whole, then much good fortune is forthcoming. You've already seen the visions of what could help us all, now Jove has arrived to help you make them come to life. Working for the 'whole' is the way to go, you have the good to share, Jove is bestowing his blessings so you can get on with the work. When good fortune comes, it has been earned - what ye sow, ye reap - so humbly thank all who've helped you to here, as you accept the gifts. Big opportunities available to you to step out to the 'public' - what you have, others need, the time is ripe for presenting. Is there something you've been wanting to get off the ground - now's the time to present it. You'll find the audience wanting to respond to the products you have on offer. Luminous energy surrounds you, as you step out on the stage - no need for fear, Jove's abundant energy, is radiating good fortune. For you, it's focused on the gifts you can bring, to others - your public face, your destined work - the things you love doing, all await unfolding. Don't let your shyness get in the way, of such magnanimous, bountiful energy. Big adventures await you - of the body or the mind - either way; the doors that open will change the way you look at the world. You have such a creative spirit - but the whole world is a canvas, every single moment of life - creates a breath, so we keep breathing. You need to expand your horizons, there's more for you to learn; many exciting journeys, you just need to open the doors. So whether you travel to other lands, or open yourself to new learning - the way you look out of your eyes, will change - new wondrous lands await you. And with you scintillating creative abilities - we'll all get to enjoy the artwork. It's all happening under the covers for you too, dear Virgo - down in the recesses of your psyche. What is it that makes you tick? You're not afraid to go down searching. You and Scorpio have much in common, you both don't mind to get your hands dirty. Getting to all that lies behind, and some of it ain't pretty. So the lights on in your inner world - it'll be so much easier to see, the blo. . . .dy things that keep tripping you up - you've simply had enough of them. It's all new beginnings around you now, so simply no room for the sh. . . .t - these are serious times indeed, and you know what needs to be done. For a gently soul, you can be cold when something needs to be cut - out with the knife, off with it. . . . good, now I feel better. Much good fortune will come via others - you certainly are their target. You've earned it thou, always so nice and forever considering others. But now's the time for others to give and you become the beneficiary, don't for one second doubt your worthiness, you well and truly deserve it. Good and bountiful energy surrounds all your relationships with others - personal and in your business life, take advantage of what is being offered. Stay true to your real self and you won't attract adversaries, be your ever loving self, always considerate and thoughtful. And don't forget, what you see in others is only a reflection of you - and if others see greatness and worthiness in you, don't forget to acknowledge it in yourself! Well, all the good fortune's in your day to day life - time to pay attention. 'Cause what happens around you also happens in your body. What is big and growing around you, as you go about your daily routines; is it real and full of goodness or is it something you'd rather not experience? You have the choice here, what you attract into your life is all about your vibration. If you turn your psychic sense toward your self, you'll understand your motives. So be extra vigilant in your daily life, good fortune comes in different packages, don't judge by appearance or it may leave you lacking. So much is changing in your life - time to focus on the goodness, this will always bring you abundance - that there's no denying! Well aren't you the star of the show - Jupiter being your ruler, his new domain significant for you as he addresses you so personally. A brilliantly creative time for you - time for those new projects; full of vision they'll surely be, arrows directly to the future. These creations will take us on journeys beyond the worlds that we know - open us up to larger possibilities, take us beyond our limited imaginations. We always rely on you dear Sag, to inspire us with your visions; "there's so much more to learn" you tell us, as you're off on another adventure. So paint the pictures of what you see, in glorious full colour; we need you to stimulate our vision, so we can too see the big picture. Jovial and free spirited as ever - dear Sag you're such a welcome guest - in this oh so serious environment. Capricorn energy influences our world as our all structures are under review. All around us these structures are crumbling - how do we create solid foundations? Yes, we know your life is busy, you've always heaps to do; but what's the use of all these 'things' if we don't have anywhere to live? And what about our deepest sense of who we are as a person, if that's not solid and real - what is possible beyond it? Lots of changes in your 'base' - of yourself and your home. What you've depended on, you no longer can - new things need to be built. Good fortune in looking for new digs or a new platform to live your life - both the same really, can't have one without the other. Time for your voice to be heard - what you know, others are waiting to hear. Do you have a book in mind? Might be time to start. Also the 'neighbourhood' around you will grow before your very eyes, lots of good energy from people around you - they're keen to help you expand. Jove may be closer than you think - you may not have far to travel; right in your own street, he's been all along. So as those desires build to spread, your message - take pen to paper. All types of communication are supported now - by Jupiter's good fortune. Look around you, opportunities are there, many will be forthcoming - they're near by, waiting for you, to recognise and accept with gratitude. What's real for you in your heart of hearts - what you value above all else; makes it's way to our daily life in one way or another. If we're true to these values life has a way of flowing - but if we live ignoring them, that's why things go awry. Yes, there are natural laws, there's absolutely no use denying - they direct, from behind, all we put into action. So the brilliant golden light of Jove sits among what you hold dear, they're clearer to see at present - so you can't say you don't see them. Everything needs to be based in 'truth', in real things - not just fantasy; what you want you can have, most definitely, if you just follow the natural order. What are your true values dear Pisces? Jupiter's abundance is showering his light there - so you can get on with manifesting.